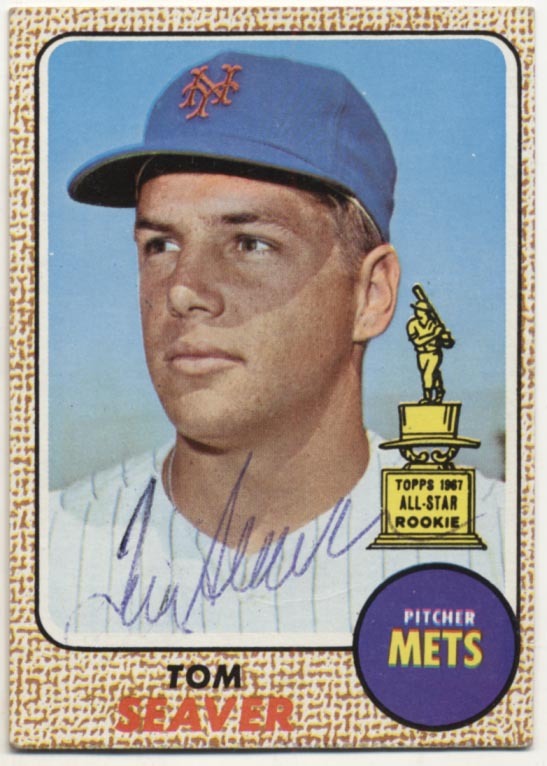 Something you just never see, offered is a clean second year Tom Seaver card. Signed AT THE TIME in blue ballpoint ink, this is something that hardly ever comes around. This is a great pickup for an advanced autographed card or Mets collector. JSA LOA.